Wrapped In Love: Laundry Room Before and After! I have been busy, busy, busy!! Finally getting the Laundry Room finished up.... so I thought I would take some pictures and show you the Before and After shots! I am always up for a challenge and this was no exception trying to get it all to tie together! Mark put Beadboard up on two of the walls, I layed tile on the floor and he helped me grout! We painted the walls and cupboards white and put new hardware on the doors. 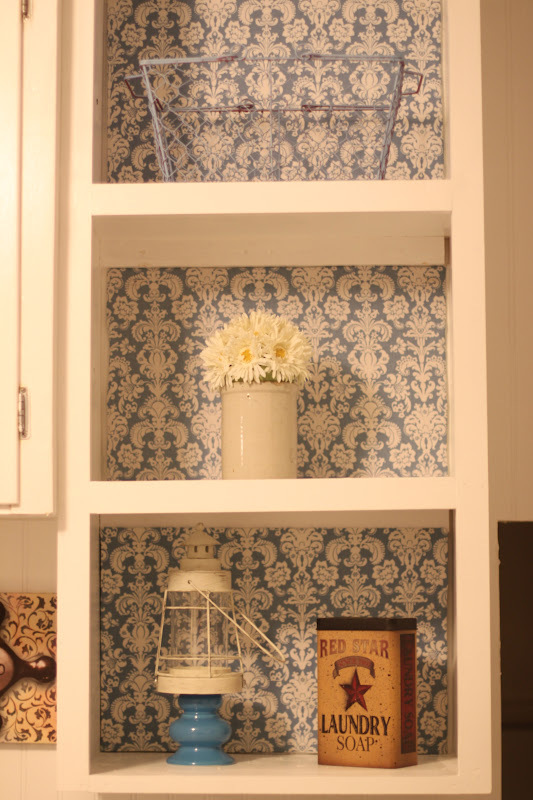 It looked too white so I put fabric onto boards and mounted them onto the backs of the open shelves! I didn’t stop there, I covered the ironing board cover in the same fabric and also lined the back of the cool drying rack I found with the same fabric! Our visitors sometimes end up in our pantry when headed to the bathroom so I decided to cut some letters and label the doors! We added the deep sink and cabinet which I am sure will come in handy if for nothing else some dirty dog paws! It is so nice having my washer and dryer on the main level!!! While I was at it I had bought this six pane window at an antique shop and decided to put it up on the wall with a wreath, the shutters were left over from my Robinson house. 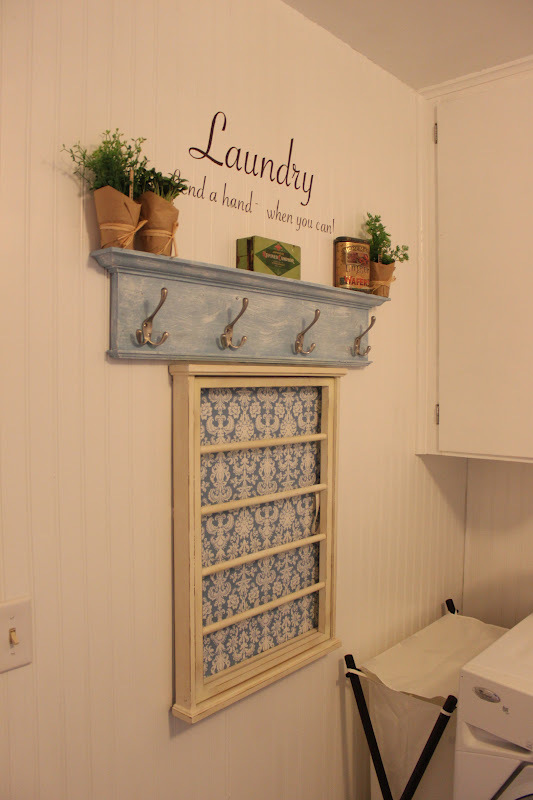 While I am recycling the shelf above the drying rack is some of the old wood work from This Old House that I painted and added hooks to! I hope you like it cause I am pretty much lovin it!!! Hope you don’t get overdosed on pictures! Yesterday was Our Second Wedding Anniversary and I am so thankful to have Mark in my life, I have been richly blessed to have him as my husband! Tomorrow is my Birthday so I am so excited my daughter and family are on their way here and taking us out for supper! With my daughters having young children I am the one who usually travels to see them.... so I am super excited because the grandkids always want to see where I live! One of my grandaughters insist her mother doesn’t know where I live... I tell her otherwise but seeing is believing ..... They are coming soon! :) BTW they have all been here but it has been a year! Hope your Valentine treated you royally! I awoke to a rose everywhere I frequent in the mornings with a candy heart nearby with a saying! Too Sweet ! We decided to eat supper at home and Mark did the cooking and made some awesome Shish Cabobs (sp?) however they are spelt they tasted great!!! Thanks Mark! The changes are fabulous. I love your attention to detail. 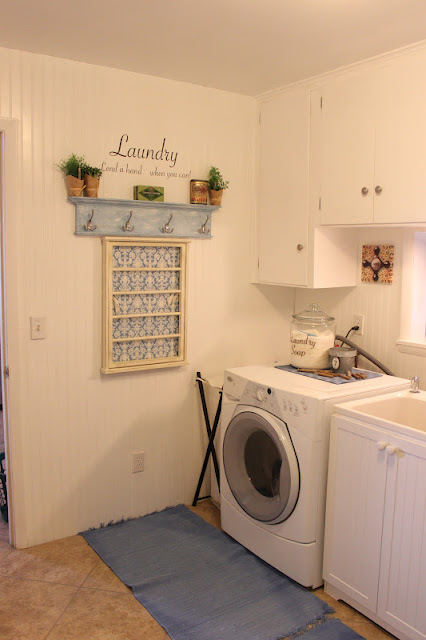 I have a tiny laundry room but it could use a little improvement and you have inspired me. Thanks for sharing, I love before and after photos. Super-riffic job! You sure will enjoy your work now. Thanks Sherry and Denise! It does make it a bit more pleasant to do the never ending job of Laundry!! Oh, I LOVE your laundry room, Nancy. You did a super job. 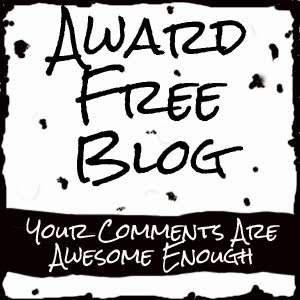 Thanks so much for visiting my blog and leaving the nice comment. Happy belated anniversary. Oh my gosh, this is absolutely beautiful. Wonderful job. fabulous transformation! love the vintage look!! 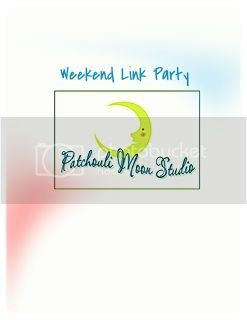 ;) Would love for you to link up to our "Uncommonly Yours" link party! Your laundry room looks fabulous. 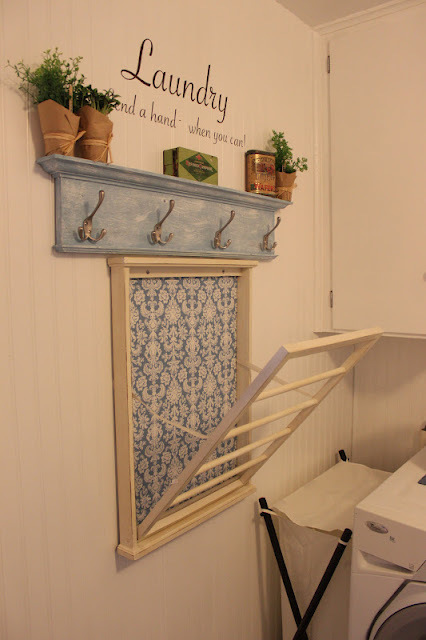 Do you have the plans for your wall mount clothes drying rack? I would love to make one. Thanks!